Maui was recently chosen as the #1 island in the world by Trip Advisor with a wealth of activities and accommodations to suit every budget. Hawaii is popular for destination weddings year round but when kids go back to school in the fall, prices drop. 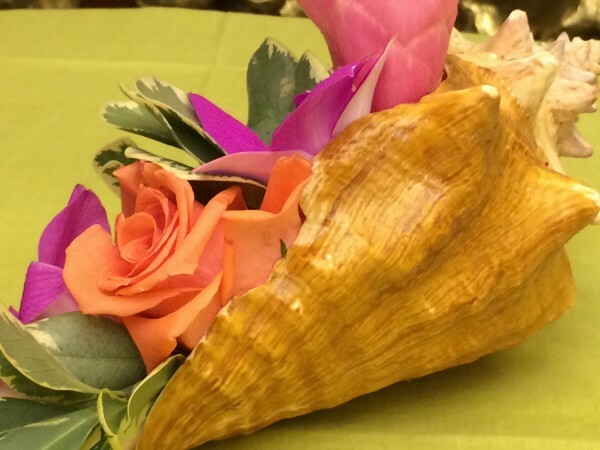 So Maui and the other Hawaiian Islands are a great value for a fall destination wedding. Busy brides will find Tracy Flanagan an excellent resource to help them find the perfect venue and Totem Travel can make travel arrangements easy whether it’s two of you on the beach or a group requiring contracts and blocked space. Jamaica also made the top 10 list but some couples worry about the Caribbean for a fall wedding because of hurricane season. Important news flash! 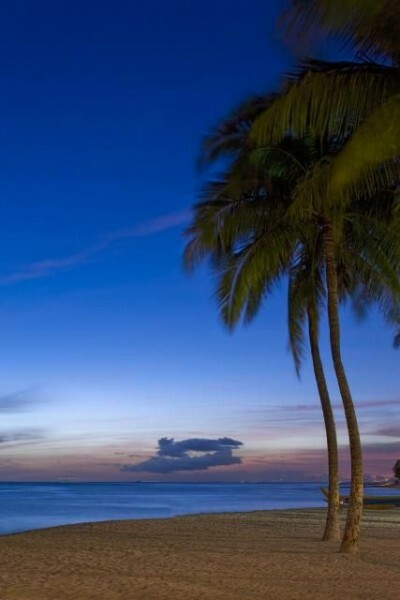 According to US Travel and News Reports, Jamaica is a great choice for fall and winter travel and July through November is the best time to visit Barbados. Other good choices for fall destination weddings would be Antigua and Aruba, both drier islands and south of the normal storm path. Combined with great weather year round, the Caribbean has adult only and family friendly all inclusive resorts which offer free destination weddings and fall wedding groups at Sandals and Beaches Resorts earn every 5th room free and special extras such as a rehearsal dinner, reception with signature cocktails and customized wedding theme. 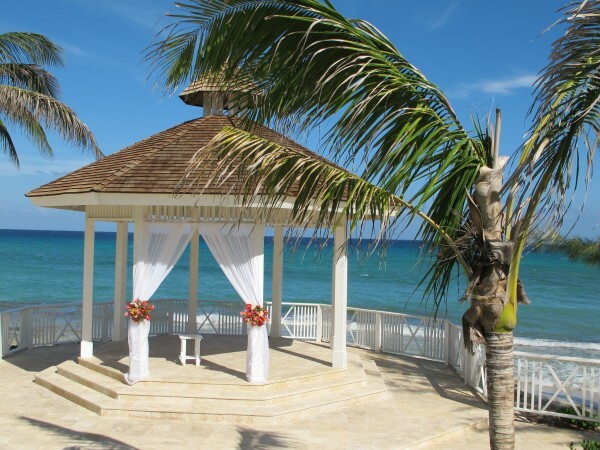 These kinds of deals make a fall destination wedding in the Caribbean one of the best values around. Tahiti, Fiji and the the South Pacific islands’ best weather is May through October and storms rarely make an appearance before February. The Fijian Islands make it easy to be married with toes in the sand and couples often spend less than an hour on legalities. 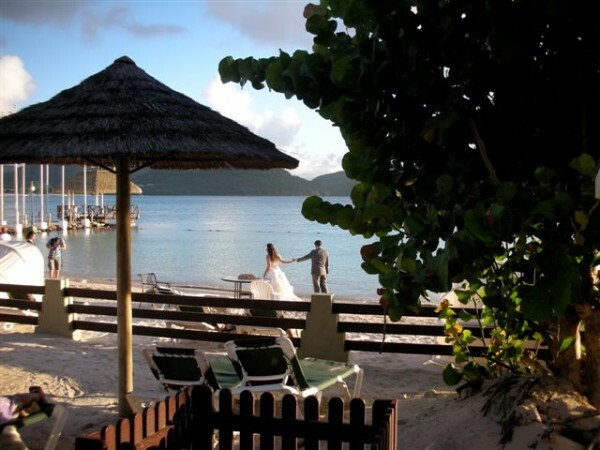 Adult only resorts like Matangi Private Island Resort offer an exotic intimate setting, romantic beachfront bungalows and you can charter the island for the ultimate private destination wedding group! There are also family friendly resorts in Fiji perfect for a wedding on the beach or in a chapel. 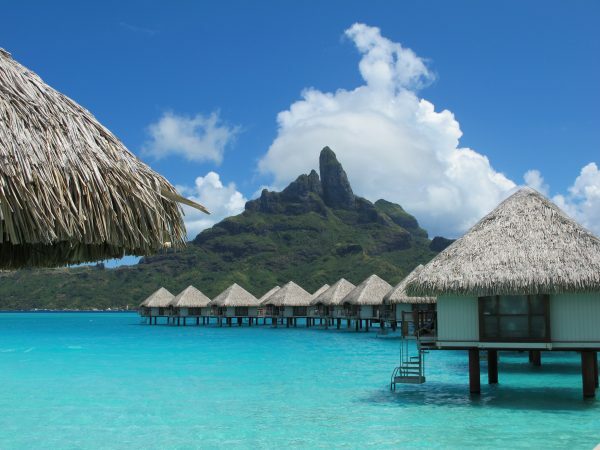 Bora Bora in THE place for an overwater bungalow with it’s pristine lagoon and gorgeous sunsets but symbolic weddings are more popular in Tahiti than legal ceremonies because of the time and expense involved. However legal weddings are possible in Tahiti and some things are definitely worth the wait! So how do you get started planning your fall destination wedding? Every couple and situation is different but making a few decisions up front and working with a destination specialist will make the process easier and more enjoyable. So think about whether you want family and friends to attend your wedding and if you’d like a simple ceremony or elaborate customized affair. Then call, request a quote or email Linda or Patty at Totem Travel and we’ll help with the rest. We know all the islands, resorts and wedding packages and look forward to making your special day picture perfect! 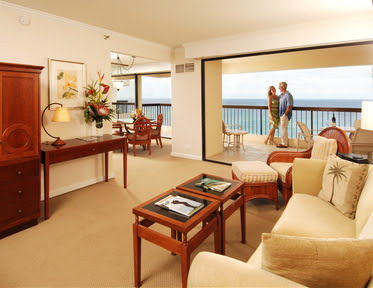 How can I find a two bedroom condo in Hawaii? Many families vacationing in Hawaii enjoy having apartment style accommodations instead of a hotel room. They like the idea of having the option to prepare some of their meals, having privacy with separate bedrooms, and a more “home away from home” feel. Condominiums which offer this type of accommodation are abundant in Maui, Kauai and on the Big Island of Hawaii but the choices for condominiums in Honolulu are more limited. There are however some quality options. There are several items to consider before selecting the perfect fit for your family. As the Hawaii Specialist at Totem Travel, I have been helping families choose the appropriate accommodations for more than 18 years, so I would like to talk about how to narrow down your options. One of the best ways to do this is to compile a wish list. Depending upon the age of your children, giving them some input can be helpful, and half the fun of planning. Once you have everything on paper, the fun stuff begins: sorting the “must haves” from the “would be nice to have” amenities. Compromise is the name of the game. What is most important for your family, might not be that important for others. Such as a washer and dryer in the unit. If you have 2 children under 5 years old, I would think that would not be a place to compromise, but if you have teens, a coin operated laundry within the complex would be just fine. Two bedrooms is another area for negotiation. Again, if you have small children, and they go to bed early, you would probably enjoy the option of them having their own room. With older kids, and teens, they are just as happy having a sofa bed, and/or roll-a-way, in the living room. While having a car on the other islands is essential, Honolulu has very good public transportation, as well as having most restaurants and shopping within walking distance. Many of my clients rent a car for just a couple of days of their vacation so that they can explore, but can avoid 7 nights of parking fees. Parking in Honolulu can be very expensive, in the $25-$35 per night range. So having FREE parking is a huge plus, and while it’s out there, it’s difficult to find. Unfortunately, most properties in Hawaii have Resort Fees. These fees are charged by the individual property and are not payable in advance. Resort Fees will be added to your bill upon check-out. The fees to cover several amenities, though, so they are not just an arbitrary fee added to your bill. Amenities covered by the resort fee can include: WiFi, local phone calls, coffee & tea service, daily newspaper, in room safe, and some even include parking. These fees are mandatory, so even if you use none of the covered amenities, you will still be charged. The good news, Resort Fees are generally less at condo properties than full service hotels and resorts. Staying within your budget is probably one of the most important items on your wish list, and it is very important to let me know what that predetermined amount is. When I ask this question, I am not trying to be nosy, I am trying to narrow down and offer you the best choices for your family. As I said, I have been doing this for a long time, so I have a good feel for what will work best for your family. Having as much information as you can give me: the “wish list”, activities that are important, and ages of your children are all key in helping me assist you in planning a vacation that you and your children will remember for a long time. If a Hawaiian vacation is in your future plans, please contact me to help you plan a seamless family experience. sandi@totemtravel.com. During my last visit to Honolulu, I had the pleasure of staying at Embassy Suites Hotel, on the Waikiki Beach Walk. Embassy Suites Hotel is a moderately sized all-suite hotel in the heart of Waikik on the island of Oahu, Hawaii. Although not located on the beach, it is just about ½ block to the beach! Embassy Suites offers 1 and 2 bedroom suites, with a separate living room (with sofa bed), wet bar, mini-frig, microwave and coffee maker so a great choice for a family vacation. Each room has a telephone and television. The two bedroom suites offer 2 full bathrooms, as well. Traveling with another couple? No problem. The bedrooms can be furnished with either a king or 2 queen beds. One of the best features of the hotel is the complimentary, cooked-to-order breakfast, served daily. Omelets are not problem for the chef, and there are lots of different options: mushrooms, bacon, sausage, ham, cheese, etc! Prefer waffles, or French Toast? You’ll find it here! Lots of fresh fruits and veggies, too. The kids love all the choices! Me too! With breakfast included, the hotel value increases! In the evening, from 5pm-7pm, a Manager’s Reception is held. Snacks and beverages are served, again they are complimentary. Here’s your chance to try those fancy umbrella drinks! More value! Location! Location! Location! Embassy Suites is very conveniently located near lots of restaurants, clubs, and shopping! International Market Place is just about a block away; Coach, Prada, Louis Viton and other high end shops are close too! There are 2 Starbucks less than a 2 minute walk, and great restaurants right on the Beach Walk, such as Yard House, Cheeseburger Beachwalk, Roys, and Ruth’s Chris Steakhouse. Oahu has so many activities to offer for singles, families, honeymooners, couples! Something for everyone! So if this sounds like the right place to stay for your Hawaiian vacation, please email me, sandi@totemtravel.com, give me a call, 425-821-4100, or book on line. Are you looking for a new resort in Maui? Consider the Andaz by Hyatt a brand new boutique hotel with only 290 guest rooms and suites in the upscale beach resort area of Wailea Maui. Andaz is very appealing for those guests who enjoy that crisp, modern approach and personal service. Andaz doesn’t have a traditional front desk, their guests check in with a personal host. No standing in line, just a nice sofa, with a cold drink, and personal attention. I particularly like the modern, sleek décor of the rooms and suites. Quiet colors, hanging lamps, platform beds, a rain shower in the bathroom all contribute to a relaxing atmosphere. Need a little snack or a beverage but don’t want to leave your room: complimentary snacks and beverages are provided in your room so no worries about an $7 Hershey bar or $8 soft drink!! My flights always seem arrive before check-in time and depart well after check-out time and Andaz has a solution for that as well with a lounge just for early arrivals and late departures. Bathrooms, showers, TV lounge, and video games will ease the tedium of waiting! Andaz strives to preserve and share the Hawaiian culture by providing activities for guests which include authentically Hawaiian crafts such as lei making, and Niu (coconut) leaf weaving. Guided walks through the property and to the beach will help guests understand Hawaii’s custom of Ohana (family) and working together. Even the dining options at Andaz are committed to providing locally produced ingredients in specialty dishes and cocktails! Be sure to try the fresh sashimi and sushi and Maui caught fish. Of course, this is Hawaii…and Hawaii means beach and water sports so try stand-up paddle boarding, row an outrigger canoe or take a surfing lesson. More of a pool person? Four beautifully landscaped, cascading infinity pools add to the luxurious atmosphere and in the evening, romantic fire pits create a wonderfully intimate ambiance. The perfect location for a glass of wine before dinner. Andaz is a beautiful venue for a destination wedding on the beach, with a reception around the pools, in one of the unique restaurants with local cuisine. 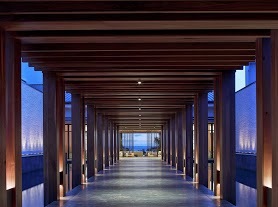 Maui has always been a favorite honeymoon destination and Andaz will add an intimate, boutique resort option. Couples looking for a romantic get-a-way with great food and drink and families wanting an upscale, luxury property for the adults, and fun beach and pool activities for the kids, are going to love Andaz Maui at Wailea. If you are ready to experience this new resort or would like to discuss other great Hawaii vacation ideas I would love to help you plan your vacation in Maui. Please contact me at sandi@totemtravel.com, or by phone: 1 800-321-7907. Affordable Family Christmas vacation travel is still possible! Although availability for Christmas travel is becoming tight, there are still some good values out there! My research goal was to find reasonably priced family resorts, cruises, and airfare and I compiled a list of several very popular destinations with pricing. The pricing criteria I used were for a family of 2 adults and 2 children staying 7 nights (except Disneyland) with roundtrip airfare from Seattle. Dates I used included Christmas, and a few days before and after. 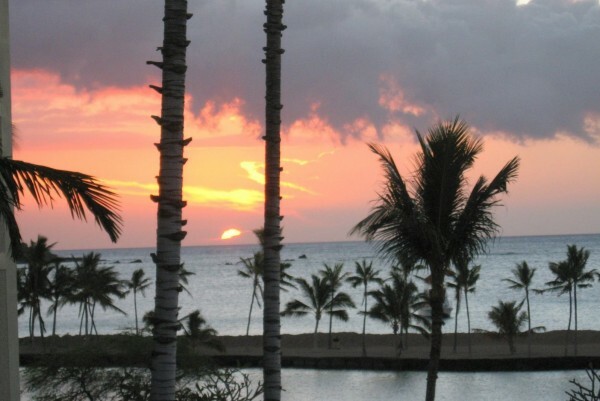 One of my favorite destinations, and a very popular choice among families, is Hawaii. Honolulu, with Waikiki Beach, and great shopping, restaurants, and activities, is one the most affordable of Hawaii’s locations. I found a handful of family friendly hotels available for 7 nights with non-stop flights for less than $5500 for a family of 4. These hotels are not beachfront but they are centrally located a block or two from the water and several include complimentary breakfast. Christmas in paradise!! Maui, the Valley Isle, is an option that many families prefer because it is less busy than Waikiki while still having plenty of activities, shopping, and dining opportunities. Maui boasts some great condominiums which are perfect for families with full kitchen facilities, including all of the necessary cooking and eating utensils. Eating a couple of meals “in” can help with the budget and many condos also have washers and dryers. There is very limited space over the holidays but I did find some options in Maui for less than $6500 including airfare, 7 nights in a 1 bedroom condo with a mid-size car rental for a family of 4. Disneyland is always a big hit with the kids, but with mom and dad too! In the past couple of years Disney has made improvements to the hotels, the parks, and many additions too. CARS Land opened last summer, and is a smash! While there is no beach like Hawaii, all of the hotels have pools, and there are plenty of water attractions at Disneyland and California Adventure. A 5-night Christmas vacation at Disneyland can be done for less that $3700 including airfare, hopper tickets, airport transfers and accommodations in a “Good Neighbor” hotel and if a Disney hotel is more to your liking, Paradise Pier is about $4600. Another option that I particularly like is a family cruise especially the cruises from Los Angeles. Convenience rules! Fly from Seattle to LAX in 2 ½ hours and board the ship at 2pm the same day! There are three cruise lines sailing from LAX to the Mexican Riviera over the holidays and ports of call include Puerto Vallarta and Cabo San Lucas. A family of 4 can cruise for 7 nights including airfare, meals and entertainment, port charges and taxes for less than $5500 and there are so many activities and events for everyone on the ship. You won’t be bored and neither will the children with complimentary “Kids Club”, games, crafts, parties, and other activities. Mexico is well-known for family friendly all-inclusive resorts. 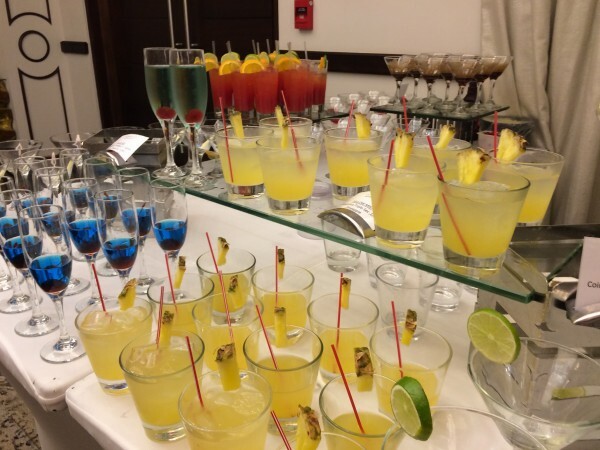 Many folks believe that all-inclusive means one buffet and that’s it! Not so! Most all-inclusive resorts boast 3-8 restaurants, with several different cuisines including favorites like Italian and Seafood. All meals, alcoholic and non alcoholic beverages, entertainment, and non-motorized water sports are usually included. Again, space is very limited but I did find has several resorts with availability in Puerto Vallarta with airfare, transfers, 7 nights at an all-inclusive beachfront resort for under $6300 for a family of 4! That’s really hard to beat! I hope that I have added optimism to your Christmas vacation search, and I look forward to helping you and your family find the perfect fit! Please email me at sandi@totemtravel.com, or feel free to call at (425) 821-4100 or (800) 321-7907. Every time I visit Oahu, which is one of my favorite Hawaiian islands because of all of the activity, I find something new and exciting to do. 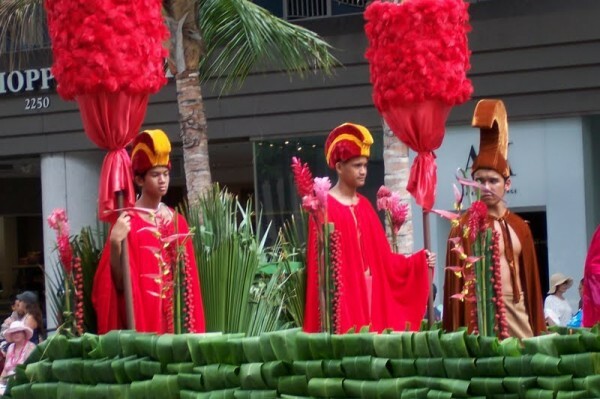 In September, I had the good fortune to join one the Oahu Visitors Bureau’s “theme fams”. The focus for this particular tour was the “Multi-Generational Family”. Of course when you have families of several generations vacationing together there will be some discussions on “what to do”! Well, I have some great suggestions that should please everyone, whether they want to participate, or maybe be the family photographer. First Stop: Wild Side Specialty Tours, where you are not just another face in the crowd of 50 or 100 other passengers. You are a guest, and one of only 10-15, maximum of 20. Each crew members takes a special interest in each guest giving special instructions for snorkeling, or photographing, directions for the best view. The dolphins, whales and turtles you encounter on the Wild Side Specialty Tours are not the animals you see at a “swim with dolphins” attraction. These animals live free and in the wild. They also have a mind of their own! However, the Wild Side Crew members seem to read minds and are quick to position the catamaran for the best views and easiest access to swim with the dolphins. Next we visited a working farm, which has been producing organic fruits and vegetables since 1974. The produce was intended to supplement the diets of the homeless and “down and outs” in Waikiki and other areas on the Island. While that is a still a focus, Kahumana Organic Farm also sells produce to high-end health food restaurants! Taking a tour, and eating at the little café, will give everyone in your family a new perspective on farming and keeping everything free of pesticides, and other chemical additives. And the café food is absolutely delicious! Try the Chicken Quesada’s with avocado! Delish! Kuoloa Ranch on the Windward side of the island is a wonderful day trip for the whole family. There are so many activities, I’m not sure you can get them all in! ATV’s, Horseback Riding, Jungle tours, Movie site tours, petting zoo, Cultural activities such as Hula Dancing and talk story! Visiting ancient fishing bowls are also quite fascinating. Also located just off the mainland of Kuoloa Ranch is “Secret Island”. 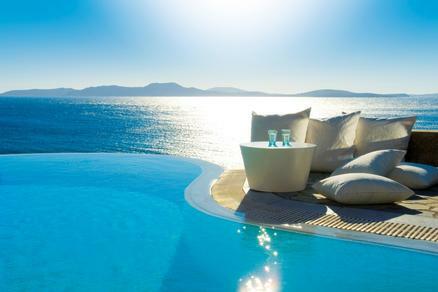 Great spot for some sunbathing, reading and relaxing! Hanauma Bay is still a favorite snorkeling location for visitors to Oahu. It’s a short drive from Honolulu, with lots of parking. Because Hanauma Bay is a Nature Reserve, not a park, there are some requests made by the staff. Over the past decade, the City and County of Honolulu prepared a plan to restore Hanauma to a healthy state by reducing the number visitors and establishing an education program. The Marine Education Center also requires that all guests view a short video which explains how we can all help to keep Hanauma and other living reef environments healthy. A tram transports guest down to the water, where there is a concession stand renting snorkeling gear. (you can of course bring your own, too) There isn’t a lot of shade, so be prepared with sunscreen. The gentle waves are perfect for the first time snorkeler and still fun for the seasoned underwater explorer. Waikiki Beach is perfect for the “Big Kahuana” wannabe. Surfing lessons and stand-up paddle board lessons are available all along the beach. If you would rather not have to work too hard, but still enjoy the surf, how about an Outrigger Canoe? In the evening, take the family on a sunset dinner cruise, with entertainment, drinks, dinner, and an amazing sunset! A rather new attraction outside Honolulu is a water park, Wet and Wild. It is the only water park in Hawaii and is the #1 Family Attraction on the island! Of course, water slides are the big attraction, but my favorite, the lazy river is a great choice for those who wish to just enjoy the water and the sunshine without the adrenaline rush! Nothing could be more fun that touring Oahu by air in a seaplane! You will have a wonderful view of the island and all the tropical scenery, even whales in season. Island Seaplane Service, which has 45 years of experience in water flying (in Alaska, Canada, the Arctic and the Caribbean), you will love the thrill of taking off and landing on the protected waters of Keehi Lagoon! Hiking is another activity that families enjoy together. Diamond Head is a very popular hiking and exploring excursion, but there are others that are less widely known, but are very beautiful. Mapaku’u Beach is a great place to have a little lunch and then set off on a hike to the Mapaku’u Light House. This is a gentle uphill trek, and well worth it for the views of Manana Island (formerly called Rabbit Island), and Koahikaipu Island….get your cameras out! There are just so many things for families to enjoy on Oahu!! As I said, each and every time I visit, I find something else that I didn’t know existed! I would love to help you enjoy Oahu, too, and the other islands of Hawaii, so please email sandi@totemtravel.com or give me a quick call, and we can get started on your visit to Paradise! According to US News Travel Section, the top ten spots for a honeymoon in 2013 are Europe with 5 cities in the top 10 list, the Caribbean with 3 islands on the list and Hawaii with 2 islands in the top 10 honeymoon list. #1 this year is Santorini, Greece followed closely by Maui, Hawaii. Greece and the Hawaiian islands have always been popular destinations for honeymooners and have consistently been in the top ten honeymoon lists. Crete bursts in on the scene and grabbed the third spot followed by another Hawaiian Island, Kauai. Rounding out the top ten honeymoon spots in 5th and 6th place are two other exciting cities in Italy, Florence and Venice. Both European cities are very romantic and remain popular each year. Florence and Venice are followed by some stunning islands in the Caribbean, Turks & Caicos, Martinique and St. Martin-St. Maarten. A top ten honeymoon list could not be complete without the always romantic and popular, Paris France. What a way to complete the top ten! If none of these destinations appeal, we have lots of other suggestions including an overwater bungalow in Bora Bora, adult only resort in Fiji, all inclusive resort in St. Lucia or a treehouse in Belize to name a few. We have specialists and packages available for all these destinations and work with honeymooners every day. Our destination specialists can help you find the best spot for your honeymoon at all budget levels, so just give us a call at 1-800-321-7907 or you can fill out a request a quote. We look forward to hearing from you! Every beach deserves a great hotel”! This was spoken by Laurance Rockefeller who built the Mauna Kea Beach Hotel. Not only does it deserve a great hotel, but also a spectacular golf course, and extraordinary dining. And that is exactly what he created…..the landmark of luxury on the Kohala Coast of Hawaii. A few years ago, his dream resort was damaged quite extensively, thanks to an earthquake. But when you have the most beautiful beach on the island, it deserves a great hotel! $150 million dollars later, the Mauna Kea is again the luxurious Hawaiian resort it was meant to be. And NO RESORT FEES!!! Mauna Kea Beach Hotel is quite small in comparison to many of the “brand name” hotels on the island. However, being small only adds to the charm of this deluxe oceanfront resort. There are 258 luxury guest rooms and suites, with large flat screen TVs, crisp white linens, with accented with bold “sunset” colors. Each room has an IPOD dock with clock radios, mini refrigerators with bottle water replenished daily, and coffee makers with Kona coffee! Views vary from mountain view to deluxe ocean views, but each room has a wide lanai to enjoy the sea air. Golfers particularly love the newly renovated 18 hole championship Mauna Kea Golf Course. Need a quick snack, a beer or maybe a Mai Tai? The Number 3, the new golf clubhouse restaurant is a great solution! Keeping in shape while vacationing is sometimes a problem, but with the new 2500 square foot Fitness center and the 11 tennis courts, working of the extra calories should be a snap! The new Mauna Kea Spa by Mandara and the enhanced beach and pool services contribute to the pampering and relaxed atmosphere we all enjoy while on vacation. No resort is complete without food! Mauna Kea Beach Hotel not only has several restaurants, ranging in cuisine from American hamburgers and pizza at the Paviliion at Manta Ray Point, to Monettes Artisan Fish and Steak Restaurant. The Monette brothers, owners of the award-winning Flagstaff House Restaurant in Colorado, offers exquisite food and wine, at the first “modern” American steakhouse on the Big Island. Are you an oenologist, a lover of wines? The Manta and Pavilion Wine Bar will be your favorite place to eat and enjoy forty eight distinctive wines. On Tuesdays and Fridays guests enjoy an authentic imu-roasted Kalua pig, lomi salmon and piles of pineapple and papaya. Learn to hula to the Hukilau and try a little finger-licking poi, and be amazed by the fire dancers. This is all part of the Luau at Mauna Kea Beach Hotel. Aloha is the true spirit of this resort! The beach is amazing, the service is impeccable and the sunsets are out of this world! If this sounds like your kind of vacation experience, please give me a call at 425-821-4100 or send an email at sandi@totemtravel.com. You can also book on line! Destination Weddings are on the rise and becoming more and more popular. Many couples just want to skip all the detailed planning at home and have a wedding consultant at a beautiful resort in a romantic location do all the work for them. I can’t say I blame them and destination weddings can take the stress out of wedding planning! As a travel agent who has helped plan a lot of destination weddings throughout the Caribbean, Mexico and places like Fiji, there are several important factors to consider when selecting the perfect spot for your destination wedding. The first thing you have to ask yourself is whether or not you want/expect your family and friends to be a part of this special occasion. If the answer is yes, then you absolutely have to not just pick a destination and resort based on YOUR budget, but you should consider your guests and what you would expect YOUR GUESTS to be able to afford. Do any of your prospective guests have children? If so, then you will want to consider a family resort rather than an “adult only” or “couples only” resort like Sandals or Couples Resorts where often a destination wedding can be free even if no guests stay at the resort. Along the lines of budget, you need to consider which cities most of your guests will be flying out of and look at how expensive airfare is to your destination of choice. The easier and more affordable you make it for friends and family to attend, the more will!! If you want to have a smaller and more private ceremony, then somewhere like the Fijian Islands is a fabulous choice providing you pick the correct time of year for weather. Other factors to consider are the requirements in each destination for getting married there. Some destinations require 4 or 5 days residency before you can be legally married and they usually do not count the day you arrive, weekends or holidays. So if you have a limited timeframe, then you might consider somewhere like Jamaica where 48 hours is required and the day you arrive counts. Other factors to consider are requirements like blood tests (Mexico) and translation of wedding documentation in countries like Dominican Republic. When I work with couples planning a destination wedding, I usually go through these factors right off the bat so we can eliminate spots that won’t work and get right to the best options that fit what the couple is looking for. Budget and time of year you want to get married are some of the other things that play a large role in finding the best spot for a destination wedding. We have three Royal Chairman’s Club Sandals Specialist in the office and we each have planned many destination weddings all over the world from Tahiti and Fiji to Hawaii, Mexico and the Caribbean. Give us a call if you need help picking the best spot for your destination wedding. We are happy to help take the stress out of the planning any way we can. You can reach us at www.totemtravel.com or call 1-800-321-7907 and ask for Patty, Sandi or Linda.